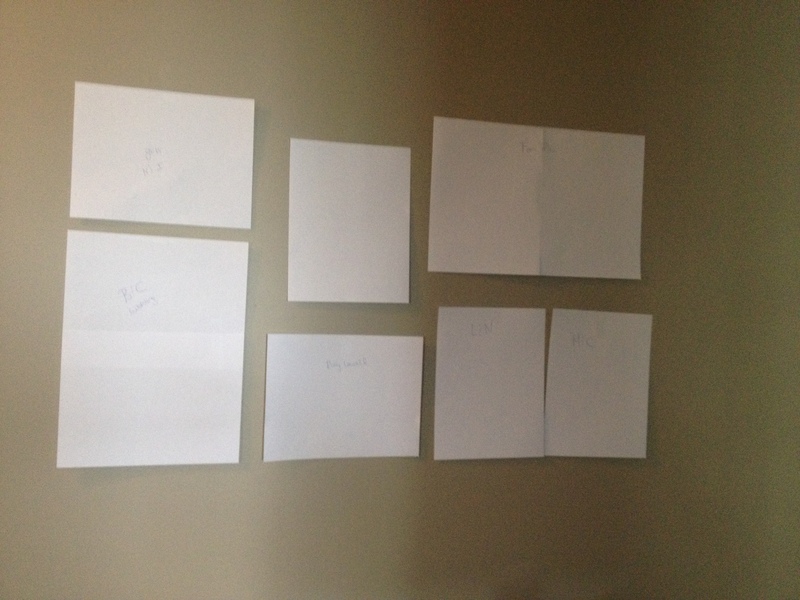 A few weeks ago I started to work on a family gallery wall for my moms house. 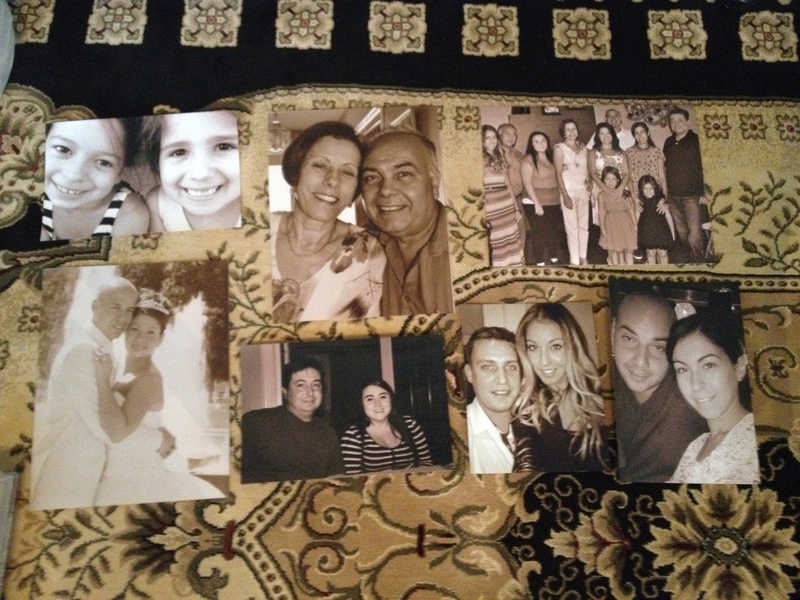 She had a perfect area in her hall way that was bare and tons of family photos with no place for them. 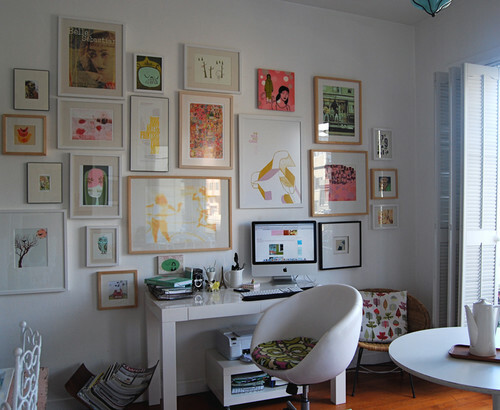 There are lots of options and styling when it comes to gallery walls. They can cover an entire wall not knowing where it began or it can be subtle, classic and symmetrical. Frames on a wall don’t have to match, black, silver, wood, gold and painted frames of various shapes and sizes can all be beautifully added to the same wall. My mom however, wanted to keep it simple and classic to go with the style of her home. What I like to do is pre mark my area of where my frames will be displayed. 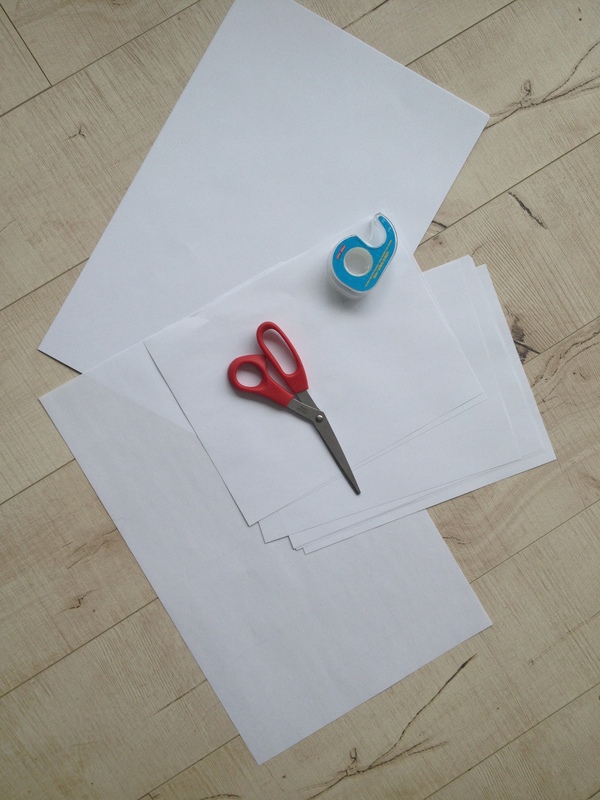 Especially if someone is looking for a crisp clean look, this can be easily done with paper scissors and tape! You can play around with the layout and see what visually balances best. From there you can plan out the size frames and photos you will be displaying. Once you have your photos printed, I like to arrange them on the floor and play with the layout again first before I start nailing holes in the walls. Once you have an arrangement that you like and will fit nicely on your wall you can start placing them in the frames and begin displaying! And they’re up! To me there is nothing more important than family and I know my mom feels the same way. 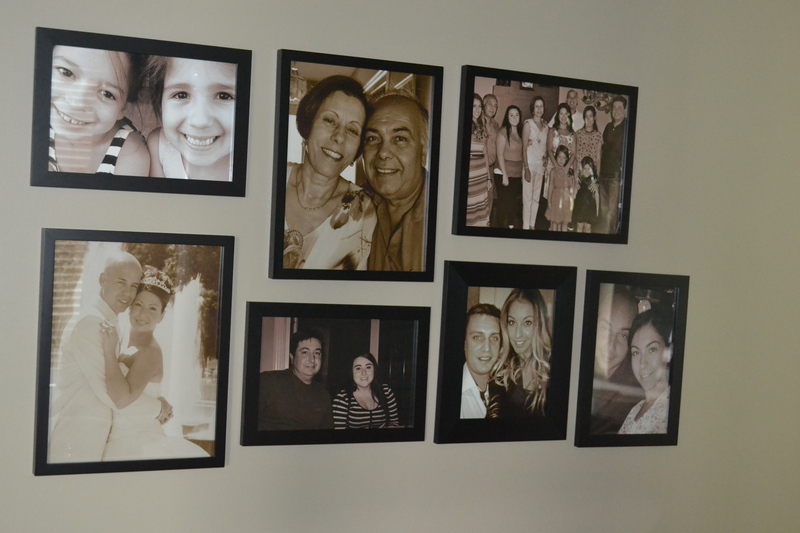 She absolutely adores her family gallery wall. That’s beautiful! It’s so easy for gallery walls to look heavy, but your light frames and mattes kept it so light. Really great job.